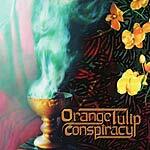 Orange Tulip Conspiracy was formed in 2008 by Jason Schimmel [Secret Chiefs 3/Estradasphere] and consists of a collection of avant-garde musicians from the underbelly of the contemporary music scene. These Seattle multi-instrumentalists play musical chairs with their instruments as well as perform tight compositions, which give way to improvisational virtuosity. The listening experience engages with a unique musical narrative style opening a virtual world in the ear with hypnotic grooves, sweeping orchestral movements and film noir turns of phrase. Heavy and enigmatic. The self-titled debut album was released in July of 2008 on Mimicry Records. "It swings, it sways, it grooves, and it rocks-- these guys can play anything with frighteningly epic precision." official orange tulip conspiracy website. orange tulip conspiracy on facebook. "Written and arranged by Estradasphere guitarist Jason Schimmel, Orange Tulip Conspiracy is an audio thrill ride into an expanding universe of drama, action, beauty, and horror. Entirely instrumental, cinematic in scope, and backed by a monster cast of players (including Seattle's Bill Horist and Dave Abramson, Secret Chief 3's Trey Spruance, and the members of Estradasphere) Schimmel has composed and arranged twelve unique and highly stylized tracks featuring countless areas of exploration with an array of sharp solos and clever tempo changes. 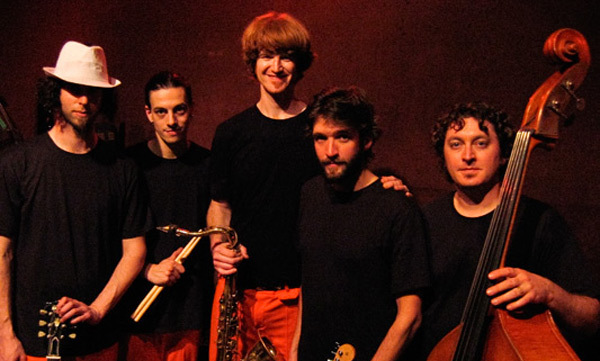 It swings, it sways, it grooves, and it rocks-- these guys can play anything with frighteningly epic precision: eccentric lounge, Italian Giallo, futuristic metal, cafe Romany, near eastern jazz. Vague points of reference such as these don't do the music justice. These tracks are lean and tasty without a speck of fat on the plate, blending classic retro styles with new ideas that cannot be properly articulated. Although Schimmel is an amazing guitarist and proves it on this record, there is a balance of spotlight and the list of insanely diverse instrumental elements all put to well-crafted use is staggering: pianos, Fender Rhodes, cello, bazooki, various brass, violin, organs, clavinet, vibes, accordian, banjo, exotic percussion, and much more, drifting over powerful rhythm sections that morph from one mood to the next with seemingly no effort whatsoever. This should be a highly sought-after document for those interested in the frontier of modern popular instrumental ensemble music, and an absolute must for any Estradasphere fan."